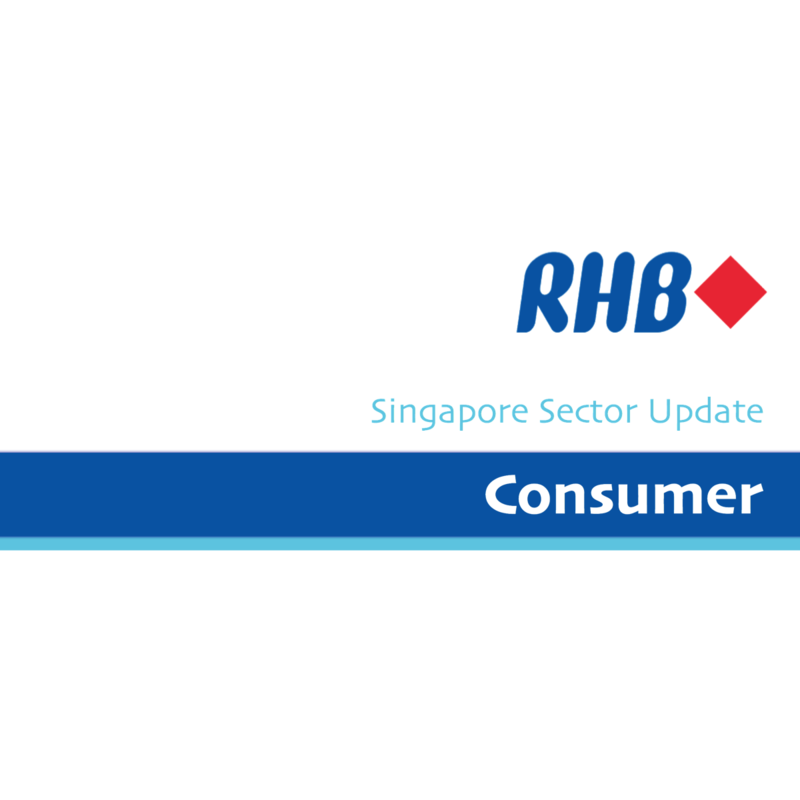 Reiterate OVERWEIGHT, as we remain optimistic on the outlook for the year on improved consumer sentiment in Singapore. Sheng Siong is our Top Pick. Also, based on our recent grocery shopping trips, we note the tight competition amongst supermarket operators have led to much improvements in product range, store-front displays and self-checkout counters – thereby greatly improving the overall grocery shopping experience. Singapore’s consumer sentiment has been recovering on the back of improving job prospects and economic growth. We believe grocery expenditure would remain on an uptrend this year. During Sheng Siong’s recent analyst briefing, CFO Mr Wong Soong Kit highlighted that the group experienced higher transaction volumes and a slight improvement in basket sizes. We expect both trends to continue this year. With an improved economic outlook and consumer confidence, consumers should trade up when buying groceries. This could be in the form of buying higher-quality or value-added products or more fresh foods. The recent surge in the completion of new Housing Development Board (HDB) flats could have triggered an increase in transaction volumes from these new households. Looking ahead, HDB still has about 10 new sites for supermarkets to tender until year-end. This provides a strong pipeline of growth for grocery retailers, as we believe sales could be absorbed by stronger demands from new housing estates. This low-cost supermarket player has proven to be adept in winning customers. In some of its new stores we visited, the company has caught up with the times with modern, cleaner and neater arrangements and shelf displays. Yet, at the same time, it maintained its brand to be synonymous with an “air-conditioned wet market”. While we think Giant stores pale in comparison over its low-cost peer, Sheng Siong, our recent channel checks show that significant effort has been made to revamp the upmarket brand, Cold Storage. The new Cold Storage is emulating the company’s 7-Eleven franchise and China associate, Yonghui Superstores, to provide more ready-to-eat food and a dining experience within their premises. The range of products has also been widened and wine tasting is available at some of the stores. We remain optimistic on the sector outlook, as grocery retailers would benefit from the pick-up in broad-based demand in Singapore. Furthermore, with operators using innovative ways and new ideas to create a differentiated shopping experience from e-commerce players, we could see a continued uptick in foot traffic and basket size in 2018. Excluding motor vehicles, Singapore’s retail sales index was up 2.6% y-o-y in March, while supermarket sales were up marginally. As the country’s economic outlook remains positive, we believe there would be a continued uptick in consumer spending. The strong pipeline of supermarkets sites up for tender provides available avenues for supermarket operators to tap on the rising demand. With brick-and-mortar players upping their game to differentiate themselves, consumers are likely to benefit from a better grocery shopping experience. We believe this could help to attract foot traffic and bump up transaction volumes. In addition, with the chain operators pushing higher-value products such as fresh food (Sheng Siong) and ready-to-eat food and alcohol (Cold Storage), we believe there is also potential for an increase in basket size. We have BUY calls on both Dairy Farm and Sheng Siong. Sheng Siong is our Top Pick with a Target Price of SGD1.18. We have slight preference for Sheng Siong on its strong execution track record, high sales mix in fresh food, improving market share in Singapore and potential for gross margin expansion with the distribution centre extension coming up. Nonetheless, we are also positive on Dairy Farm with a Target Price of USD9.66, as we believe the strong demand from North Asia and its health & beauty division would continue to drive growth for the group. Its supermarket division has begun to see some of the new strategies implemented by CEO Mr Ian McLeod in Singapore. We are positive on this front but think the full rollout of new strategies across South-East Asia could take time. Improvement in operating margins led by the new strategies set in place would be a bonus upside to our estimate. Dairy Farm - Positive Interim Statement for 1Q18. Sheng Siong Group - Fancy Fresh Food.